on a walk to the Sea. I am very far tonight. My toes are freezing cold. Tonight I am the Sea. and the moving waters wave. are cuddled at the shore. Sinks them hard into our skin. I have questioned its grace. I look at my Doubt. It nods back at me. The air loosens its grip. I have questioned their knowledge. The waters settle their roar. My Doubt begins to shrink. I start to walk again. Nonjabulo is an outstanding individual, I’m familiar with her creative geniusness since our student days of fashion designing. I’m glad to see that she has expanded her influence across the board of the creative sphere. Enjoying your poetic work, and keep on shining Shunshine. Shunshine, born Nonjabulo Tshabalala, is a Kwa-Zulu Natal(KZN) born poet, who now resides in Cape Town. She moved to Cape Town after high school, to study Fashion Design. It was during those years that she started attending open-mic sessions, and had her first taste of the stage. Since then, she has worked with many artists, and performed in many shows between KZN and Cape Town. She has also helped to organize a handful of events, in order to create platforms for other upcoming artists. In KZN, she has worked with artists such as Raheem, Lexikon, Moonchild, Tumelo Khoza, Busiswa Gqulu, Thando Ngcobo and Siyabonga Skhakhane. She has performed at DUT’s Pour-A-Tree Sessions and Nowadays Poets. She was also a part of Poppunut’s ‘Sounds 031’ Women’s Edition Project in 2009. 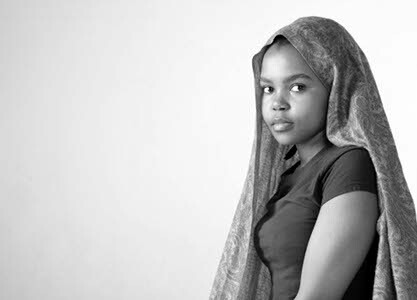 In Cape Town, she has worked with Bulelwa Basse of the Lyrical Base Project, City at Peace, Dejavu, Uzinzo, and is a part of the Black Ink Arts Movement, based in Du Noon, Milnerton. In 2009, she recorded and released an album titled My Space, which was quite successful considering that it was released independently. Since then, she has been featured in albums and songs by other artists. Since her return to Cape Town in 2013, she has worked with Radikal Xpression, Sounds of The South (SOS), 4D Multimedia, and an Observatory based monthly session known as Poetics ‘music not for the sake of it’. In 2013, one of her poems, I bargain with the mist, was published in the Sol Plaatje European Union Vol III Poetry Anthology. As someone who has a hip hop background, and a general love for music, Nonjabulo sometimes blends her poetry with musical sounds. She loves experimenting with different writing styles. She is inspired by love and life. She writes because it heals her, and shares it because she believes that it has the potential of healing other people. She is driven by her great interest in spirituality, and quest to spread positivity across the dividing lines of culture, race and religion. She believes that we are all from the same source.